It would be difficult to overstate the significance of Stanley Park to Vancouver’s identity. Visiting the park is obligatory for tourists, and locals from across the spectrum use it frequently for a myriad of activities. But the feature that distinguishes Stanley Park from most other large urban parks is its large forest that serves as a refreshing natural oasis in the midst of the city, and a reminder of what the rest of Vancouver might have been like before we paved it over. On the other hand, despite the aesthetic feel of Stanley Park’s forest, it is not much more “natural” than my houseplants, a point amply made in Sean Kheraj’s Inventing Stanley Park. Kheraj isn’t the first to puncture the myth that the Stanley Park forest is pristine or ancient (a theme addressed in a Museum of Vancouver exhibition a few years ago), but neither is he content in simply myth-busting. As an environmental history, Inventing Stanley Park explores the dynamic and fascinating relationship between nature and culture that forged the Stanley Park we know today. The book is organized chronologically with a specific theme highlighted in each chapter. The first chapter covers the environmental processes that created the “stage upon which the human history of Stanley Park would play out” (20), through the occupation by First Nations that began more than 3000 years ago, and ending with their official displacement. As it turns out, human modifications to the landscape began long before George Vancouver encountered residents of Whoi Whoi, a village site at what’s now Lumberman’s Arch. The mistaken notion that indigenous park residents were recent immigrants to the area was used to rationalize labelling them “squatters” and evicting them, which Kheraj discusses in chapter two. He misses an opportunity here to note that despite the evictions, people have continued to inhabit the park to this day. This is a minor complaint, but it complicates Kheraj’s conclusion that “the eviction of the ‘squatters’ was the final stage in the process of making the park public,” not in the legal sense, but in how the park is actually used (91). The main thrust of the book is the shifting ideas that have guided park management through the years. At the time of its designation as a park, the prevailing thinking was that the true potential of nature in Stanley Park could only be realized through human intervention. Thus, chapter three walks the reader through several episodes illustrating how and why “improvements” were made, such as implementing fire suppression and prevention measures, importing desirable animals such as grey squirrels and swans (and conversely, attempting to limit or eradicate crows, cougars and other fauna deemed undesirable in a park setting), and replacing hemlock trees with what were considered more robust and therefore more suitable cedar and fir trees. As often as not, nature asserted itself in unpredictable ways that not only influenced what human interventions took place, but also undermined an idealized and static conception of nature as a consistently picturesque, convenient, and safe place for human recreation. Environmental history strives to show how non-human phenomena can be active, autonomous agents that help shape history rather than just serve as passive props or a backdrop for the unfolding human drama. In this, Inventing Stanley Park succeeds, and helps explain the paradox of why the park requires a small army of workers to maintain it in an apparent “natural” state. As the title “The City in the Park” suggests, chapter four demolishes the idea that Stanley Park is somehow separate from the built city. 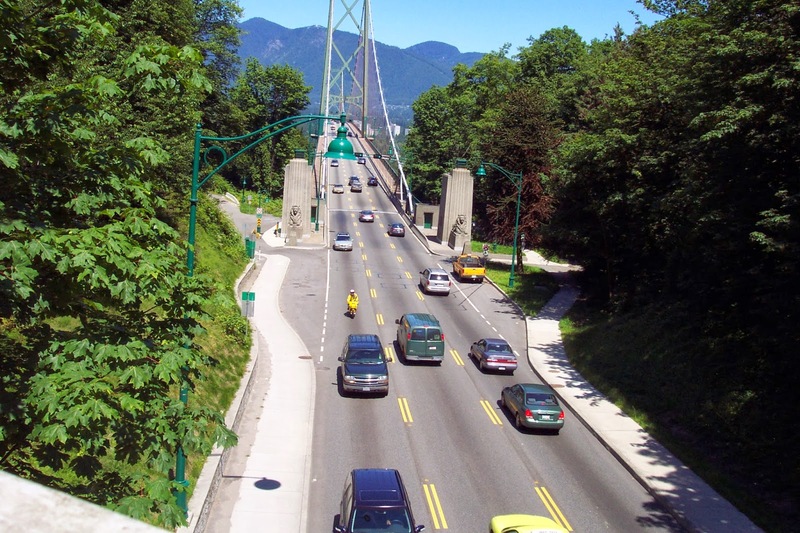 Because it is situated at the narrowest section of Burrard Inlet (the First Narrows), Stanley Park was a site for urban infrastructure early on when the Capilano Pipeline was installed to bring fresh water into Vancouver from the North Shore. Next came proposals for a road and bridge to connect Vancouver to the North Shore, an idea that was quashed as too big a compromise in the 1920s, but embraced as an economic godsend for a city teetering on the edge of bankruptcy in the Great Depression. Its high elevation and view of the harbour also made the park ideally suited for militarization during both world wars. In short, Stanley Park is no stranger to urban development, although park staff has gone to great lengths to minimize the scars left behind. The naval base on Deadman’s Island and the busy highway bisecting Stanley Park are the two most conspicuous clues, but even they were designed to minimize their visual impact. Chapter five should resonate with Vancouverites who may recall the controversy over whether or not to chop down the park’s famous but now dead Hollow Tree, as well as the 2006 wind storm that flattened large swathes of the forest. Kheraj tells us about two similar violent storms, one in the winter of 1934-35 and Typhoon Freda in 1962. As in 2006, the public was deeply concerned about the damage caused by the earlier storms and nervous about the subsequent restoration. But after years of being fed the fiction that the forest was somehow a slice of pristine wilderness, few people in 1962 remembered the earlier storm and therefore failed to appreciate that destructive windstorms are a perfectly natural force that periodically changes the forest. Subsequent efforts to undo the damage are framed by Kheraj as “restoring nature,” which nicely reflects the complex relationship between culture and nature that makes Stanley Park an interesting place to visit and its history a compelling read. 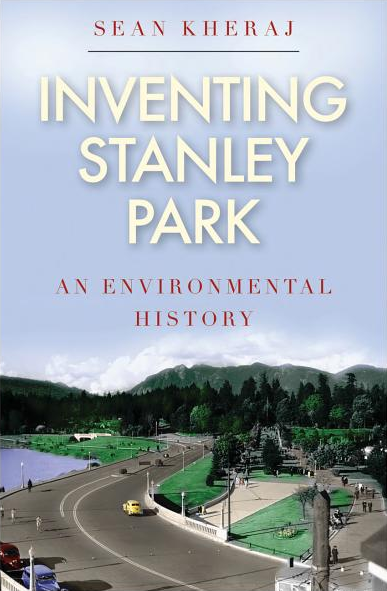 Inventing Stanley Park is not the first book written about the park’s history, but it will surely be an authoritative go-to source on the subject for many years to come. Despite its genesis as a PhD dissertation, it is a highly readable and richly illustrated survey of the park’s fascinating history with much to offer local history buffs, environmental historians, and historical geographers. Lani Russwurm is a Vancouver historian who blogs as Past Tense Vancouver. His first book, Vancouver Was Awesome: A Curious Pictorial History, was published in 2013 by Arsenal Pulp Press. Thanks for the very thoughtful review, Lani!